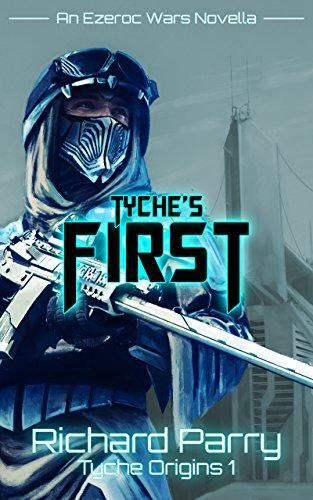 Nathan Chevell has four hours to stop the fall of an empire.As Captain of the Emperor’s Black, it’s Nate’s job to protect the Ruler of all Humanity. But the discovery of an assassin close to the throne means Intelligencers, new agents who can read and control minds, are deemed better for the Emperor’s safety.With the Black ordered to stand down, terrorists strike the Palace. Nate still believes his job is to protect the Emperor, even if it means dying. He must discover the threat against the Emperor before it’s too late. If he doesn’t, the Empire will crumble. 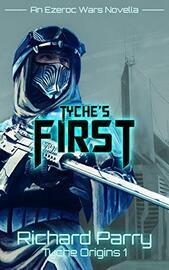 Tyche’s First is the beginning novella in Richard Parry’s gripping Tyche Origins pentalogy. If you like page-turning space opera with great dialogue and heart-pumping action, get your copy today!